The steampunk design philosophy is anything but energy saving. Inspired by industrialized Western civilization during the 19th century when humankind didn’t really understand the importance of energy efficiency yet, steampunk is now being given a greener touch. Australian company Edison Light Globes has come up with this steampunk lighting solution that uses energy-efficient LED lights. 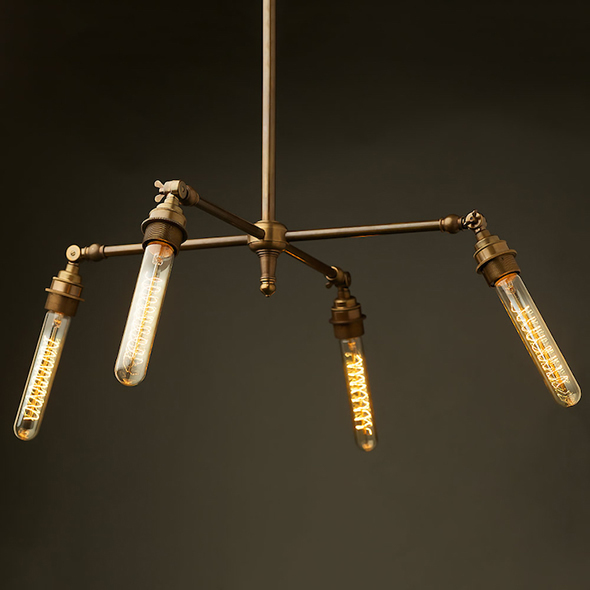 Made from brass and sporting exposed hardware, these lamps come complete with pseudo-Victorian and retro-futuristic aesthetics. All sugar has ever done to mankind is turned human beings into large lethargic potatoes. However, a Virginia Tech research team has come up with a way to use sugar for the betterment of human life! 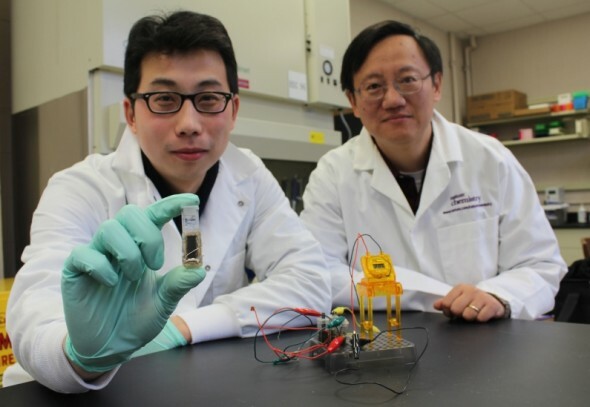 The team has developed a battery that runs on sugar and has an unmatched energy density, which could possibly replace the conventional battery in the near future. The new battery is cheaper, refillable, and biodegradable. We’ve always stated that post-consumer plastics must be recycled and given a new life, instead of having it all dumped into the environment. 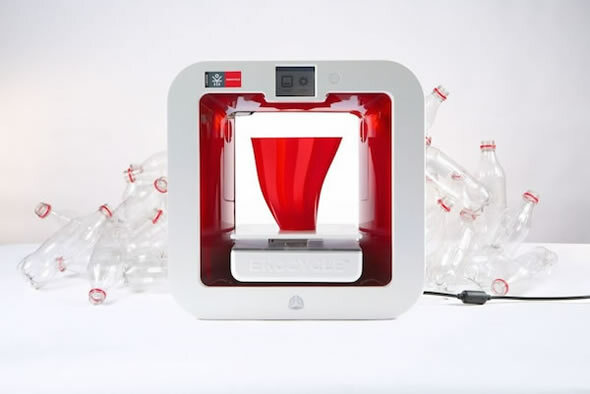 Coca Cola, the beverage brand that loves making the world smile with its charming gestures, recently joined hands with American singer-songwriter will.i.am to unveil the Ekocycle Cube, a little 3D printer that uses post-consumer plastics to print stuff! Designer unveils pants that wirelessly charge the Nokia Lumia 930! 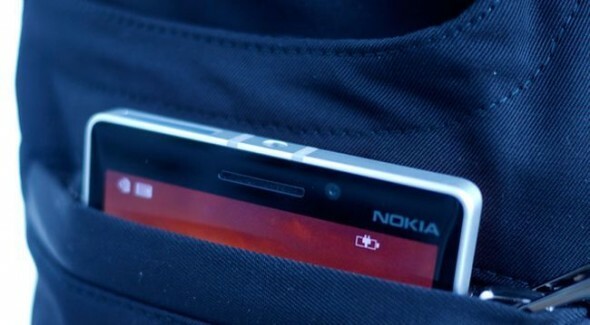 The smartphones in the Nokia Lumia line may not be particularly known to be power suckers, but that certainly hasn’t stopped British designer Adrien Sauvage and Nokia from collaborating and designing these technologically-advanced pants! Created for London Collections: ‘Modern Man, these pants are capable of charging a Nokia Lumia 930 phone as soon as the device is placed in the wearer’s pocket, wirelessly! Coca-Cola is no stranger to green endeavors. The soda giant has proven its green mettle yet again with a one-of-a-kind refrigerator that we’d like to see every time we reach for a Coke at a store! 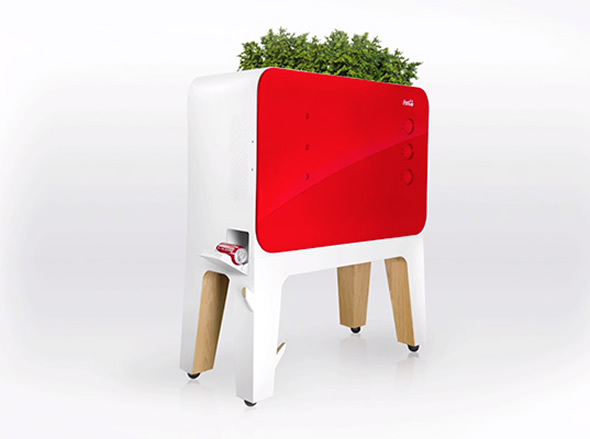 Called the Bio Cooler, this refrigerator uses no electricity or batteries to cool soda cans. Instead, the little dispenser uses ancient technology reliant on evaporation and mirrors that work together to cool drinks! And that’s not all. This fantastic technology works better as the temperature outdoors gets hotter. Streetlights use bulbs, bulbs use electricity and the generation of electricity does have an environmental impact that’s quite damaging. This is why the Netherlands has decided to replace streetlights with an energy-efficient and eye-catching way to light up its roads. 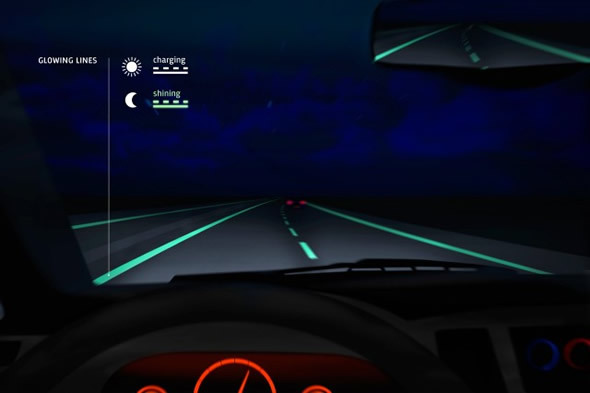 Light-absorbing glow-in-the-dark road markings have now found a home on a 500m (0.3 mile) stretch of highway in the region, designed by Studio Roosegaarde. There are more energy efficient ways to power up homes and office spaces than incandescent bulbs. This is exactly why the world has quickly begun swinging towards LED and fluorescent lighting solutions. However, the rest simply won’t break away from the good old incandescent, given the fact that most LED lighting solutions available today simply don’t “feel” right! 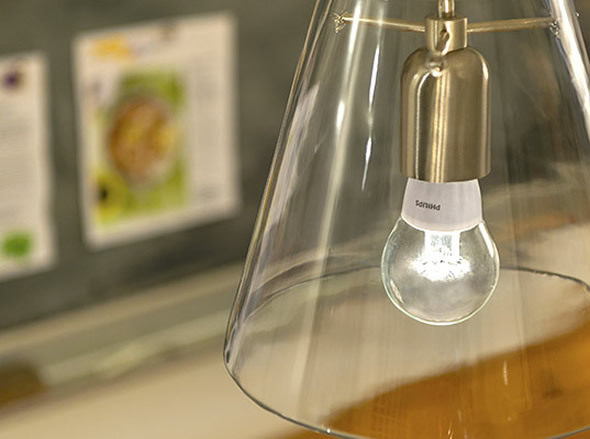 Keeping that in mind, electronics giant Philips has unleashed an LED bulb that literally looks like an incandescent bulb and also gives off a similar glow! 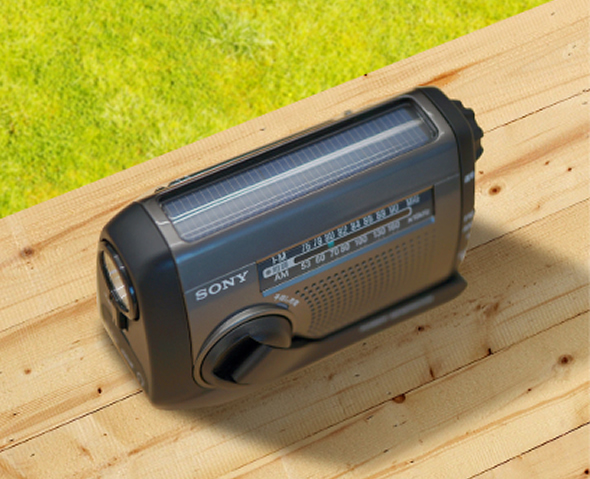 Radios might seem a little old fashioned now, but these devices that have kept the world entertained right since the transmission of digital signals were made possible, can prove to be quite handy in numerous situations. Technology giant Sony understands the usefulness of this friendly little device and has given it a green edge. The company now proudly boasts the ICF-B88, its first solar emergency radio that will be made part of a manually-powered device series. Bamboo Plant Opal Loudspeaker is the world’s first to use plant opals! 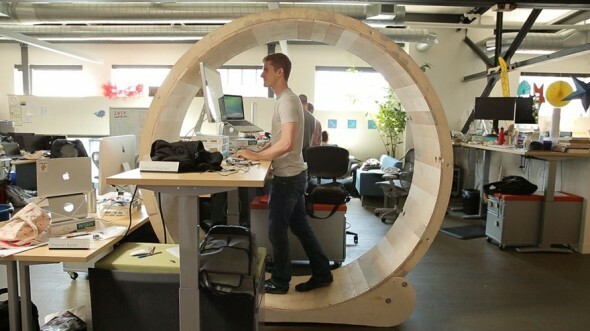 It isn’t very often that a technology company begins to do things the green way. 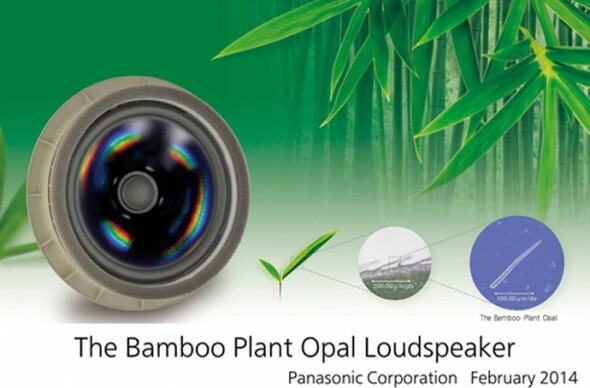 Panasonic has decided to break trends and has announced the world’s first loudspeaker using a diaphragm made from plant opals in bamboo leaves. Called the Bamboo Plant Opal Loudspeaker, the system is capable of producing clear sound with low distortion. This is made possible with the use of the hard, plant opal materials occurring in bamboo.